Prey 2 Is Trapped "In Limbo"
Human Head says Prey 2 is not canceled, but what exactly it is remains a bit hazy. The fate of Prey 2 is one of life's great mysteries, assuming you spend a significant portion of your life obsessing over what's going on with Prey 2. If you don't, then it's probably just something you wonder about for a few seconds every time the topic comes up on your favorite gaming site. It's delayed, it's canceled, it's not canceled; the truth is that at this stage, nobody knows what's actually going on except presumably the good folks and Bethesda and Human Head. And according to them - specifically, according to Human Head Designer Nathan Cheever - the game is in limbo. "Prey 1 = Indians in Space. Prey 2 = Cowboys in Space. (#Prey2)," he wrote today on Twitter. "btw, P2 hasn't been officially canceled, only in limbo." Good news! Or perhaps I should say, good news? It's great that it isn't flat-out canceled, but I have no idea what "in limbo" means. I get the idea, obviously, but "work is not progressing and the future of the game is completely up in the air" isn't exactly a cause for celebration among fans. Bethesda, for its part, declined to clarify the situation further, telling Kotaku, "We don't have any additional information to share on the status of Prey 2." 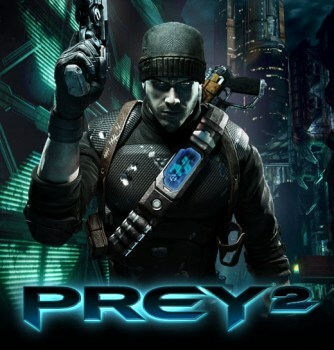 Cheever also noted that this isn't actually anything new, saying in a later tweet, "Bethesda already stated Prey 2 was on hold due to 'quality reasons'." Even so, it's nice to have confirmation that nearly a year after Human Head reportedly stopped working on it, we're as clueless about what's going on with this thing as ever.